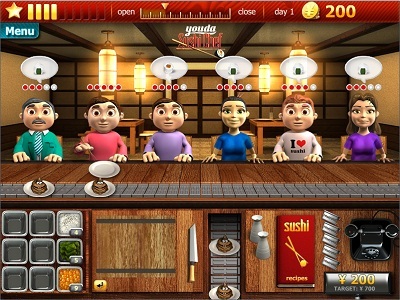 Whether you enjoy sushi or have never tasted the popular delicacy, you’re going to love the time management fun of Youda Sushi Chef! 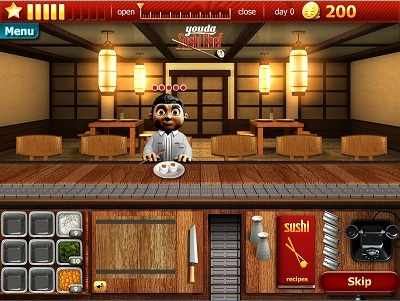 Step into the dual roles of manager and chef as you make a variety of mouth-watering sushi, perform amazing knife tricks, order supplies, upgrade your equipment and decorate your establishment. 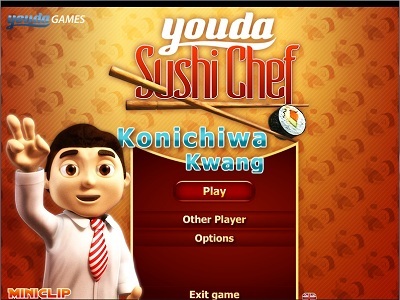 String together amazing combos and master the art of sushi! This game make me playing for a whole afternoon. Game play is similar to dash games like Jessica’s Cupcake Cafe, where we have to ‘make’ the sushi before we present it to the customers. This game is also a bit of a memory work because we have to remember what combination of ingredients making up to what the customers want. 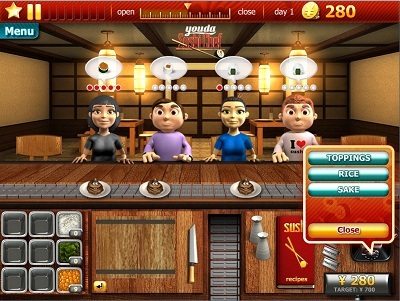 The money you get, is used for upgrades/purchases that you can get, before you play each level, in each restaurant. Entry filed under: Action, Review. 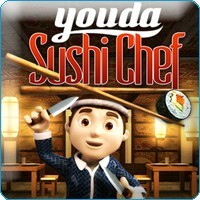 Tags: chef, sushi, youda. Build-a-lot 2: Town of the Year	Give me some comments plzz!! !